The NEOGRAFT FUE Hair Transplant Procedure is the most sophisticated, minimally invasive Follicular Unit Extraction (FUE) method available. For those who like to wear their hair extremely short, the NEOGRAFT FUE advanced hair transplant procedure does not leave a linear scar, so you have the freedom to cut and style your hair the way you like without having to hide a scar. NeoGraft Hair Restoration at HRI of DFW in Fort Worth, Texas is so accurate and targeted that even eyebrows, beard, and mustache areas can be restored successfully. A NeoGraft Hair Transplant can bring back the look you want. NeoGraft is appropriate for men and women of any ethnicity or hair type. The NEOGRAFT FUE Hair Transplant procedure gives you fuller hair while eliminating the drawbacks typically associated with the traditional strip hair transplants. This minimally invasive, outpatient procedure transplants your own hair without stitches or noticeable scarring. With a fast recovery period, most people are able to return to work and other activities in just a few days. The result is fuller, natural looking hair that will last a lifetime. What are the Benefits of NeoGraft Hair Restoration? Advanced Technology – Our automated technology gives you the least invasive procedure in hair transplantation. Effective – You have fewer activity restrictions than with traditional strip methods. Hair loss while part of the aging process, can be very emotional, and trying to find ways to curb this process used to be a real challenge. The advances in NeoGraft’s technology gives you a hair loss solution that allows patients to achieve a natural looking result that don’t have a linear scar, has minimal downtime and has a shorter recovery time. Hair restoration with the NeoGraft procedure is completely undetectable, making it your secret to tell. 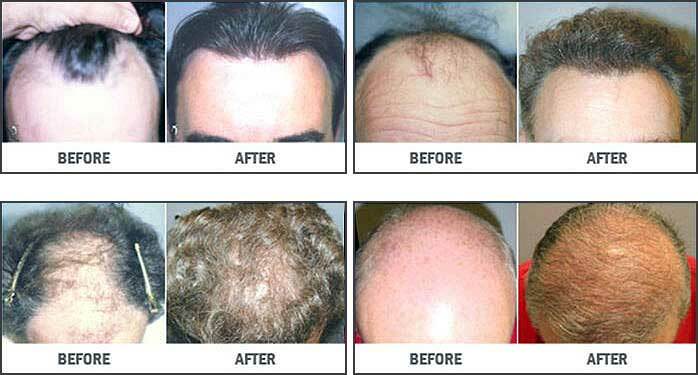 Why is NeoGraft FUE Hair Transplantation so Effective? NeoGraft offers many exciting advantages to its patients. First, the procedure is far less invasive than in other similar hair restoration procedures. Most patients who undergo NeoGraft don’t experience any pain or discomfort. Scalpel incisions, staples, stitches and unattractive linear scars are all nonexistent with NeoGraft, too. If you have short locks, a linear scar can make an unsightly nuisance. NeoGraft, however, poses no risk of that. NeoGraft FUE Hair Transplantation is the first and only FDA cleared follicular unit harvesting and implantation system – the most advanced technique in hair restoration and hair transplantation. This revolutionary system uses precise controls to extract complete individual hair follicles which can be immediately transplanted to the selected areas of the scalp. NeoGraft FUE Hair Transplantation gives a very exact harvesting and hair placement that is repeatable which gives high quality results. With NeoGraft’s technology each follicle is removed individually while the patient is comfortable. A natural looking head of hair is created with this minimally-invasive procedure. WE INVITE YOU to schedule a private, no-obligation consultation at one of our state-of-the-art hair restoration center in Fort Worth, Texas where you can discuss concerns about your hair loss, with a trained HRI hair loss professional. CLICK HERE to schedule your private hair loss evaluation today. Or call us any time at (817-854-4247).